Eye Movement Desensitization and Reprocessing (EMDR) is a method of psychotherapy that has been extensively researched and proven effective for the treatment of trauma. In 1987, psychologist Dr. Francine Shapiro made the chance observation that eye movements can reduce the intensity of disturbing thoughts under certain conditions. Dr. Shapiro studied this effect scientifically, and in 1989, she reported, in the Journal of Traumatic Stress, success using EMDR to treat victims of trauma. Since then, EMDR has developed and evolved through the contributions of therapists and researchers all over the world. Today, EMDR is a set of standardized protocols that incorporates elements from many different treatment approaches. It is based on the idea that negative behaviors and feelings in one's current life are the result of negative memories and experiences from early in life. These negative memories are stored in the mind, in what can be called a locked up form that makes them immune to, or unresponsive to, later learning. These early negative experiences affect our self-esteem, and what we think of ourselves. They also limit our effectiveness in every day living. EMDR is a multi-faceted approach that stimulates the left and right hemispheres of the brain to work better together. The way EMDR works continues to be researched. Trauma and emotional problems seem to get stuck and isolated in the right hemisphere where they repeat themselves over and over like a tape loop. EMDR enables the stuck memories and emotions to be translated and transformed into normal long term memories in the left hemisphere. People who have experienced successful EMDR often say, "I know that terrible thing happened, but it just doesn't bother me any more." To date, EMDR has helped an estimated two million people of all ages relieve many types of psychological stress. EMDR should be done by a licensed mental professional who is well experienced in doing psychotherapy in general, and has completed EMDRIA approved training ("Basic Training"). EMDR should be done as a part of a comprehensive psychotherapy plan for a client. Today the standards of practice of EMDR are overseen by the EMDR International Institute (EMDRIA). EMDRIA sets training standards, and certifies EMDR practitioners who have met EMDRIA qualifications for using EMDR as a therapy technique. Gloria Ireland is certified as an EMDR therapist, and as a "Approved Consultant", enabling her to help other therapists become EMDR practitioners. 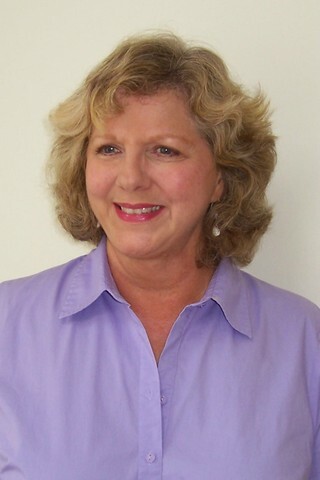 Gloria is also a training facilitor for the EMDR Institute of Watsonville, California. The EMDR Institute was established by Francine Shapiro, developer of EMDR. Repeating memories of a past car accident. Memories of childhood physical abuse, that keep returning in nightmares or flashbacks. Fear of a boss who is verbally harsh, and evokes memories of being yelled at as a child. Fear of flying, which is often based on a past turbulent flight. Fear of your spouse, when they use an intimidating tone of voice with you. Fear of an upcoming job interview. Fear of driving a car, that may come from a past car accident. Memories of painful marital arguments. A memory of a painful failure in school or business. The trauma of someone breaking up with you. who you have loved deeply. A child seeing a disturbing movie that they have nightmares about. A child being made fun of by classmates. A child who has become fearful of a teacher, due the teacher's yelling or criticism.